Be selective about the type of marriage counselor with whom you decide to trust your marriage. Read What’s a pro-marriage counselor, and how can I find one? Visit http://www.marriagefriendlytherapists.com for a directory run by Kathleen Wenger that helps couples find supportive, pro-marriage therapists in your area. Power of Two has some great marriage resources to help boost your relationship. For couples dealing with addiction and substance abuse, here are tips for dating while in recovery and other support advice for family and friends of people with addiction. 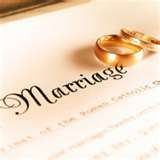 Visit my blogroll page for recommended marriage and family blogs. You may search “books” under categories on my home page for discussions or reviews of other interesting books.